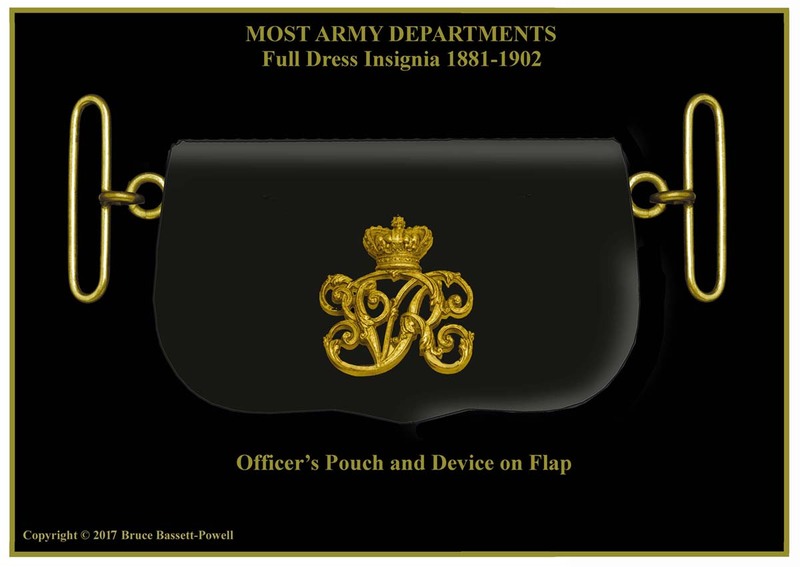 The shoulder belt pouch originated as a cartridge case, also known as a cartouche, that was slung from the shoulder for the use of officers and men who were mounted, especially dragoons, who were originally mounted infantrymen. 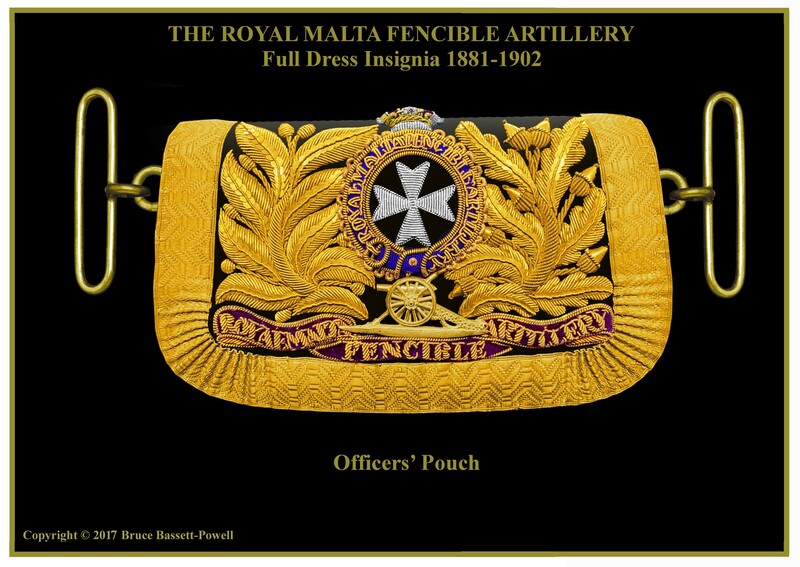 The pouch was generally made of leather, and contained a wooden former within which pre-made cartridges of powder and ball were stowed. 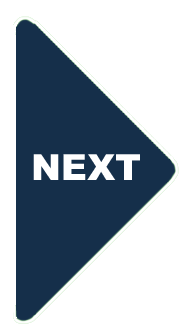 Slung out of the way in the centre of the back when not required, they could easily be moved to the front, or side for ease of access when action with a firearm was ordered. Over time this utilitarian means of storage was found useful by other mounted functionaries and soon, surgeons and veterinarians used it to carry small surgical kits, or notebooks and pencil, engineers a field sketching kit, gunners a small field telescope, scale, pair of compasses and pencil, and paymasters and quartermasters the ledgers within which their accounts were maintained. A later, more compact version, carried field binoculars. 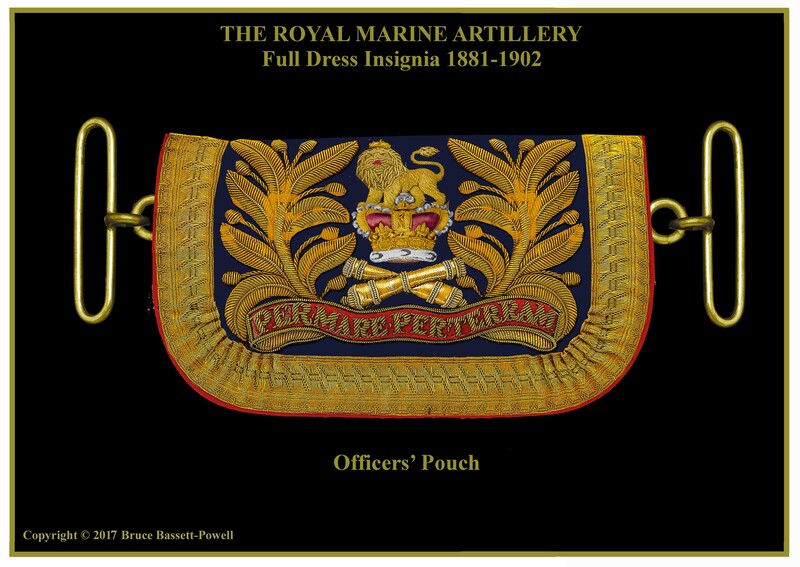 As with most military pouches, they were also a means to display insignia and honours, invariably in metal on the leather undress versions used in barracks and in the field, but increasingly in bright silks and velvet, generally overlaid with rich bullion embroidery, for use with full dress uniform. 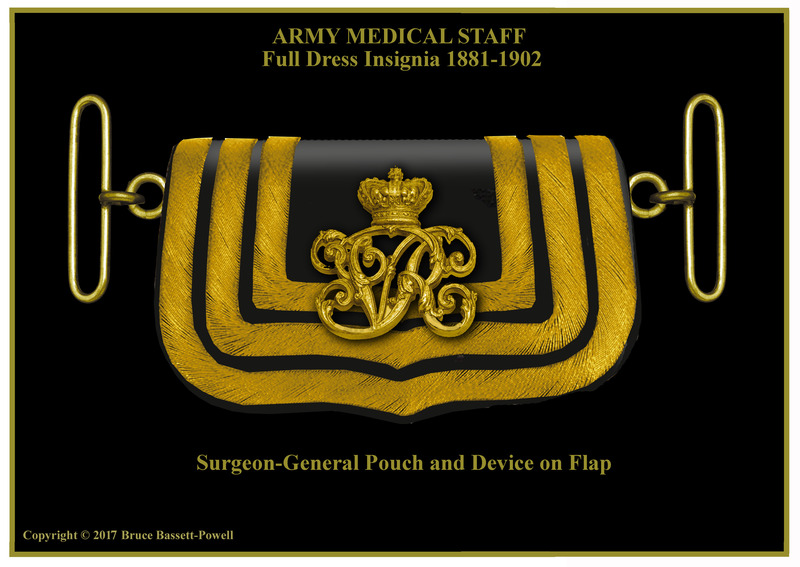 In some cases the flap of the case was covered with a sheet of worked silver bearing a variety of regimental emblems. 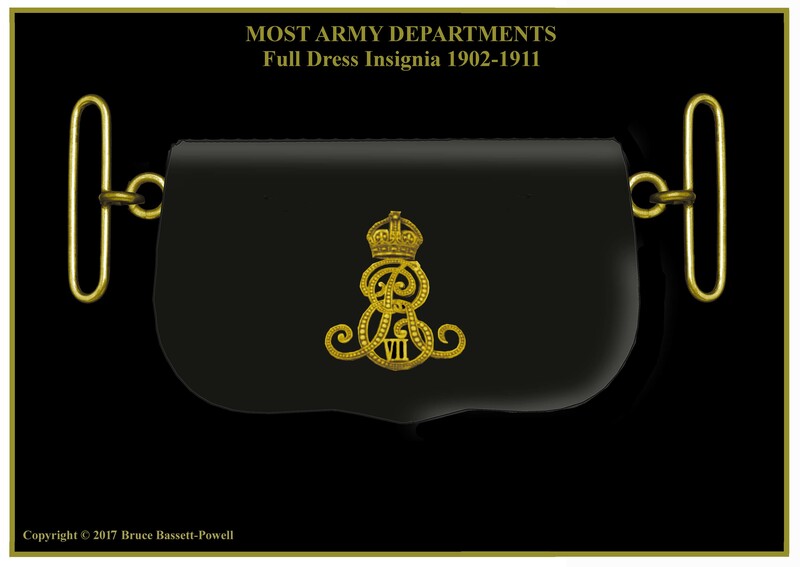 Securing the pouches, were shoulder belts, and in some departmental corps rows of gold lace running around the pouch and along the length of the belt were varied in such a way as to differentiate rank. 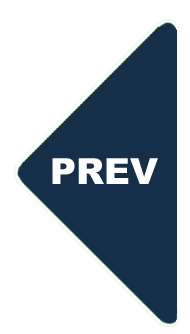 In each case there was one row less on the pouch than on the belt for each of the four ascending levels. 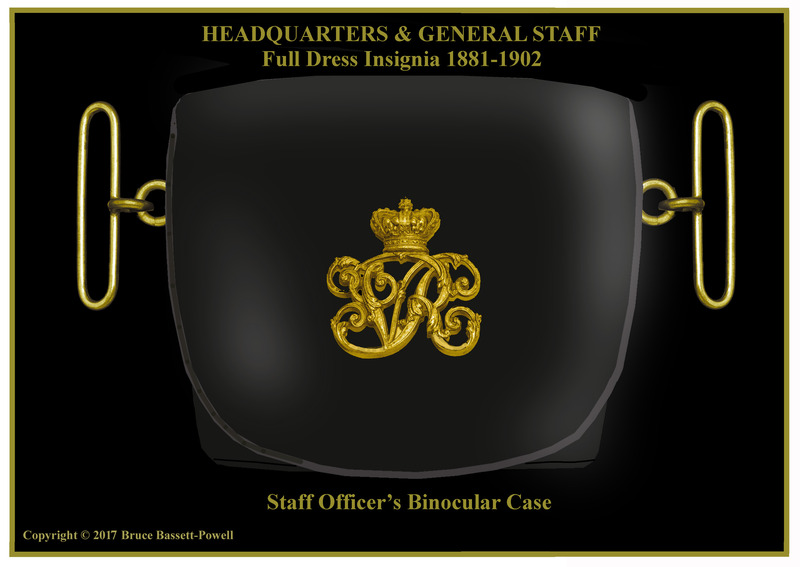 By the late Victorian era these objects had become items of great beauty and both, combatant regiments, and support corps and departments, vied with each other to stand out via the splendour of their particular design. 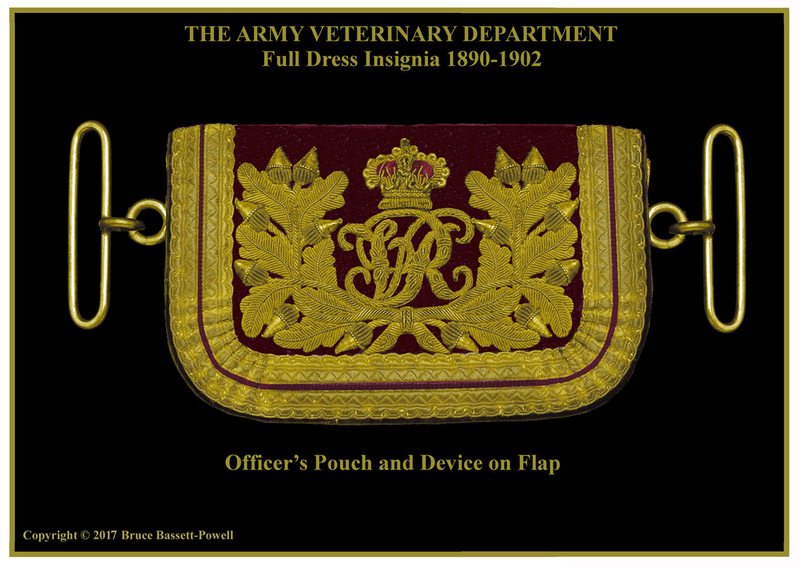 This appendix of our series covers only the full dress pouches in use by the arms, services and departments, less cavalry, between 1881 and 1902. 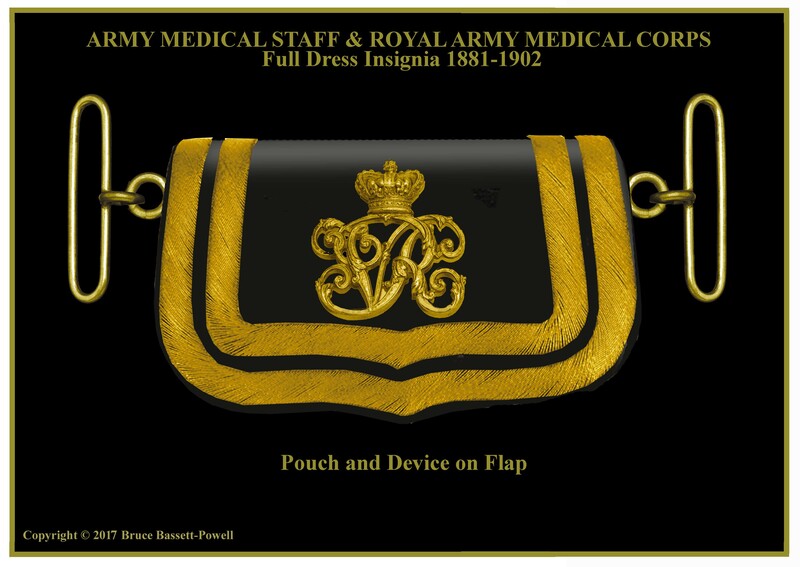 Although this study covers the period 1881-1902, it seems fitting to conclude with the pouch insignia going forward from that date. 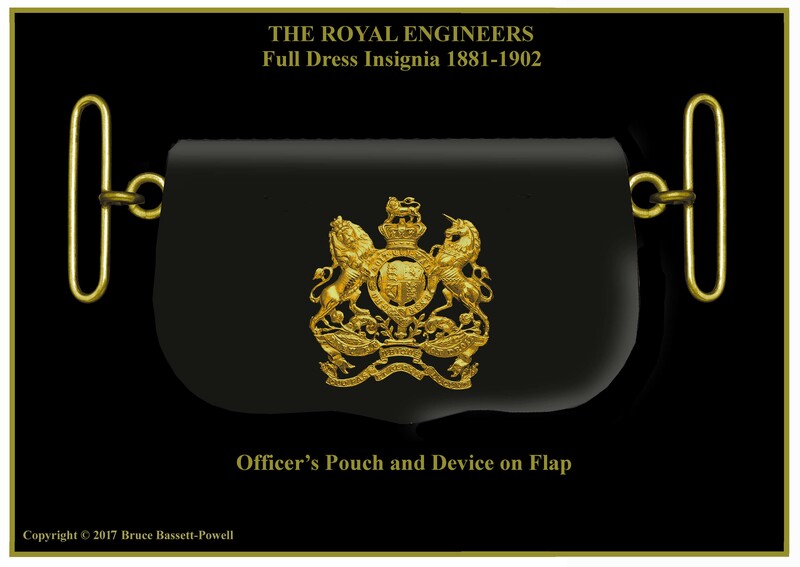 The cypher of Edward VII replaced that of Queen Victoria and was placed on the flap of the pouches in most departments and elsewhere. 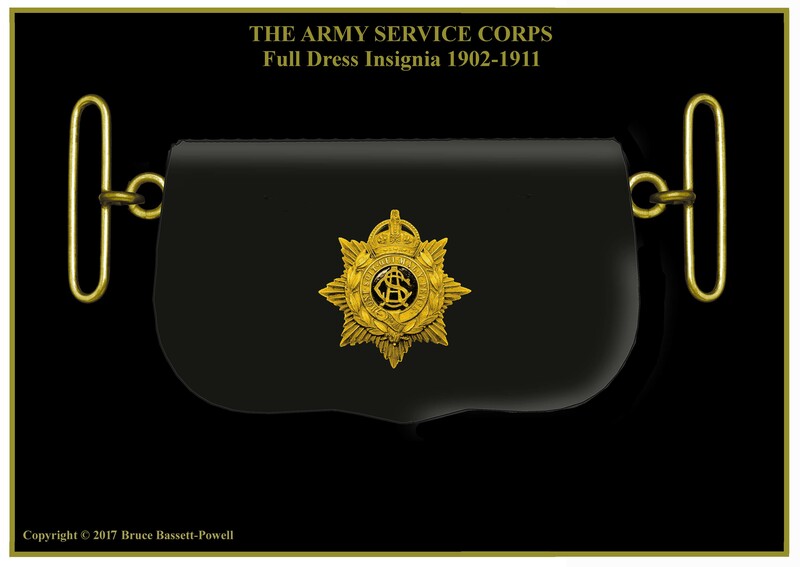 The Army Service Corps, however adopted a special badge which is shown below. 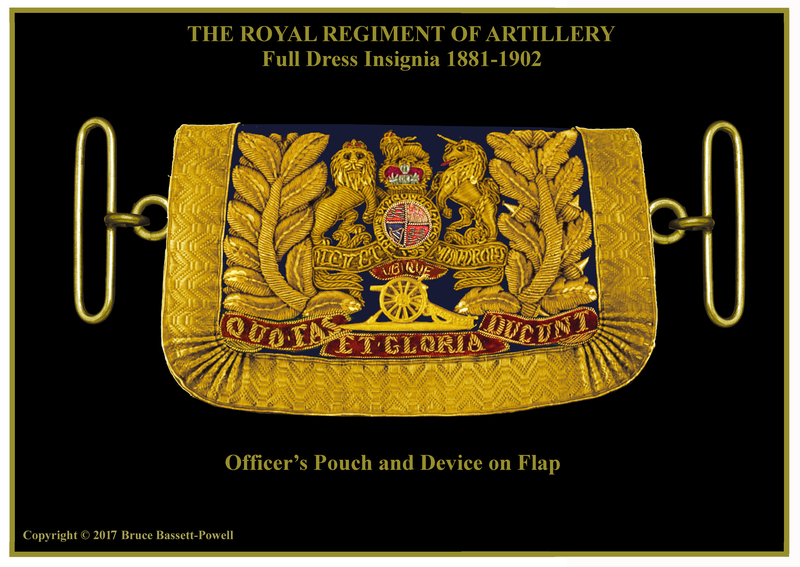 As for the embroidered pouches of the Royal Artillery and other corps, one suspects that it took some time for new pouches with Edwardian insignia to replace them.